1. 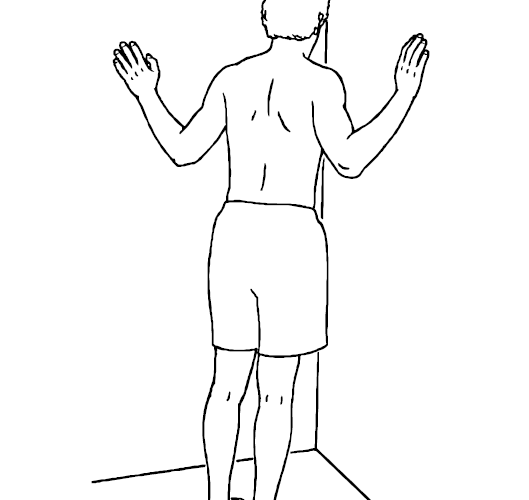 Stand facing the corner and with your elbows bent, place your hands on the walls. 2. Slowly lean your body into the corner until you feel a stretch in your chest. 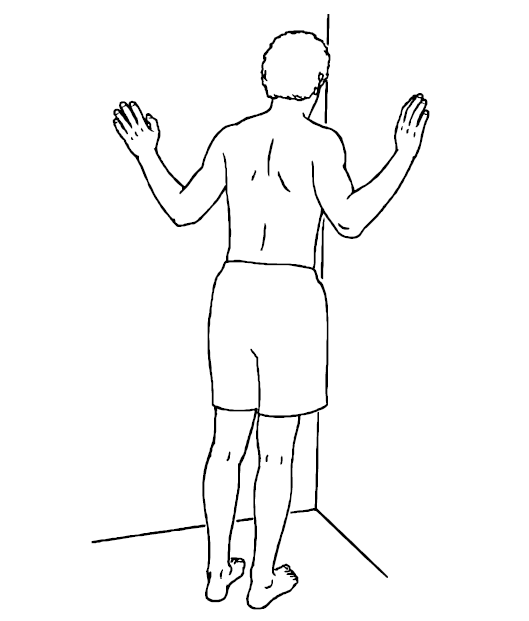 Make sure that you do not feel any strain in your lower back as you perform this movement. Hold for 30 seconds whilst breathing deeply.